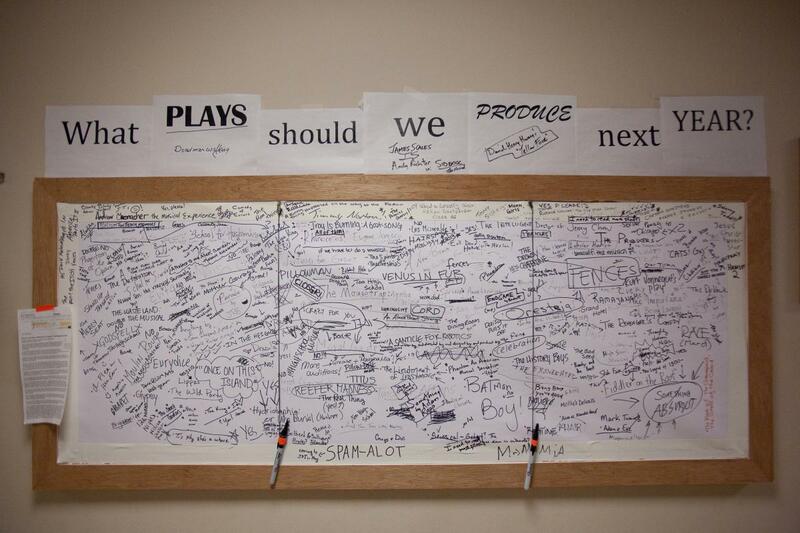 Playwriting | Department of Drama, U.Va. Playwriting is an active and vital part of the Drama curriculum, and provides basic and advanced instruction in the craft. Playwriting I is open to all students and requires no past experience or training. This course provides an introduction to playwriting through guided exercises and culminates in a staged reading of selected scenes at the end of the semester. For students who want to develop their playwriting skills, there are several advanced classes, and an undergraduate student may take as many as five playwriting classes while at U.Va. These advanced classes focus on the development of longer works and, again, culminate in staged readings of selected sections. Often these staged readings combine playwriting classes with directing or acting classes. Beyond the classroom, there are many opportunities for the playwriting student to see his or her work on stage as part of our ongoing Lab Series of student productions. For those who want specialized training, independent study is also possible, where the playwright will work one-on-one with a faculty member to develop a longer work, a screenplay, or a teleplay. The Playwriting program can thus provide a basic introduction to the craft as part of Liberal Arts studies, or provide advanced instruction for those who may want to pursue graduate study or professional work in the field.